There is not much you can do wrong when using Joola table tennis rubbers. 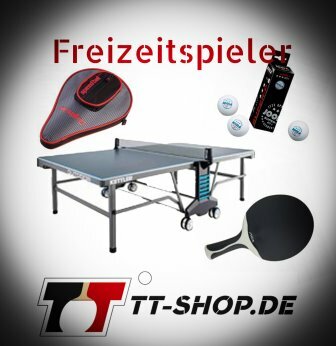 The traditional company from Siebeldingen (Germany) has specialized exclusively on table tennis. Hence, Joola rubbers are also of absolute top quality, and made for table tennis players. The following table contains all Joola rubbers. Below you can not only find rubbers for beginners (which can also be mounted on complete bats), but also high-end rubbers like the Rhyzm series. Joola has put their emphasis on a very wide area of application. At the same time, there is always a good price-performance ratio. When hearing the words "Joola rubbers", many of you might think of the classics Mambo and Samba. Probably almost every table tennis player has used one or both of these rubbers in the course of his/her career. At the former times of speed-gluing, there was this incredible sound after having mounted these Joola rubbers (plus a substantial layer of speed-glue). At times of the so called ESN technology, Joola table tennis rubbers are continually improved and developed. After the successful Energy series, nowadays, the Rhyzm and Maxxx series are dominating the scene. Joola rubbers are different from many other competing rubbers, in a positive sense. This is also because of the communication philosophy of the marketing division. What are the differences between the individual Joola rubbers? This is an important key question for players (when choosing an appropriate rubber), but also for the developers. Regarding the above mentioned question, the brand Joola dispenses with the usual (but objectively difficult to understand) classification which has been practiced for decades. The developers from Joola rubbers noticed that the common numerical classification from 0-100 has limits. Every year, new rubbers are faster, more innovative, and better. Hence, there was a ceiling effect, and the number 100 was not enough anymore. For this reason, sometimes one can see a specification exceeding the number 100.
pimples in: This category corresponds to the standard table tennis rubber which contains an upper rubber (topsheet) with pimples in, and a sponge. The combination of both parts constitute the overall component / rubber. 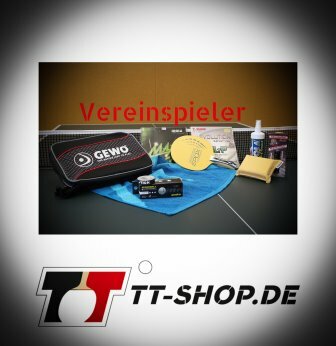 short pimples / pimples out: In this case the table tennis rubber consists of a topsheet with pimples out. Often, there is also a sponge below the topsheet. Blockers and counter-players usually use this type of rubber. long pimples: Such Joola rubbers are also available without a sponge (so called OX rubbers). They exhibit a highly disruptive character, and can be used when playing close to the table, or for spinny defenses (further) away from the table. The pimples are oriented outwards, and usually result in a reversing of the spin. anti spin: Such TT rubbers exhibit a smooth and even surface. This makes is easier for you to successfully receive spinny strokes coming from your opponent. Def-: This category is described as being suitable for purely defending players (or a purely defending gaming style). This corresponds to players who usually act far away from the table using spinny defensive strokes, and occasional strokes in between. Def: This category corresponds to the modern defense consisting of spinny defending strokes, defending strokes close(r) to the table, and occasional, properly placed attacking strokes when there is a good opportunity. Def extreme: This style usually corresponds to the usage of special rubbers (pimples, anti). The goal is to prevent the opponent from doing attacks. All: Here, almost all kinds of strokes and techniques are implemented. However, the focus is on control, blocks, and counters. 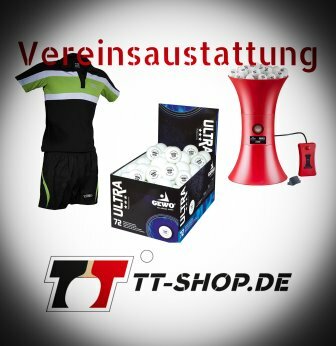 Off-: There are various topspin and various spin variants commonly used. Often, attacks are based on balls which exhibit a high trajectory, and a late ball contact. Off: In this category the game is dominated by decisive topspins. Often, topspins are used as finishers. Off extreme: This corresponds to the uncompromising offensive. The risk appetite is extremely high. Speed takes precedence over spin and tactics. Green Power: This technology describes a fix and permanently integrated speed gluing effect resulting in a significant improvement of the overall performance capability of such TT rubbers. Clearly perceivable! Geo-Force-Power: An enlarged cavity in between the inner pimples of such rubbers cause a maximum amount of spin, and an improved control. Geo-Grip-Power: Because of a surface structure which causes intensified friction properties, the ball experiences significantly more friction. Hence, such Joola rubbers exhibit more spin. Tensor: The tensor technology causes an internal tension in the rubber. As consequences, the rubber is not only faster, but also more elastic, spinnier, and exhibits more feeling. Geo-Sponge-Power: This technology results in the creation of a very coarse-pored sponge. Such large pores induce a larger catapult effect, and a higher trajectory of the ball. Joola Samba Tech - Catapult and Feeling for the Ball united in one single rubber! Joola X-Plode Sensitive - Great price! Joola Samba 27 - Designed for athletic topspin players. 48° sponge.